I know FFG tries to make each pack as usable as possible regardless of expansions someone owns, and I'm not sure this precedent has ever been broken, but I feel like two or three Form cards wouldn't break much. Or, they could always make something that does require HotE (or at least its tiles for Skirmish). The Bantha comes to mind, doesn't it use TS tiles? The Bantha Rider [...] requires tiles from ﻿Twin Shadows. What? It does? I don't have any books at hand, but surely the sandy tiles from the CORE game must qualify as Habitat: Desert? ... for its side mission. Gotcha! Although, is that really an exception? Doesn't loads of ally/villain pack Side Missions require tiles form their corresponding expansion boxes? Not packs from reinforcement waves. All other packs from reinforcement waves only require core tiles. I would love to see a generic Hutt crime lord (why does it always have to be Jabba?) - or even better, some additional Hutt profiles. Some Unique Imperial Officers - I've always liked that idea. Some Force Sensitive non-jedi - a double action to use a Force card. And of course no list of requests could be complete without Gary the Stormtrooper. Some non-unique inquisitors. A two figure group, high cost of 9-12, and only coming as elite, like the dewback rider. That would thematically allow them to hound the rebels anywhere they go, but the rebels have to cause some serious trouble to attract their attention. Possibly an ability or agenda card that would lower their cost if the rebels are using Diala, Davith, or any force user ally. The K-4 enforcer droid from the torture room in RotJ. Give the mercs a lower cost droid for the jawa to buff and to serve in IG-88's army. I'm trying to create a new hero, and a side effect of what I came up with is the possibility of him removing 7 strain every rest. This would require a total of 4+1 xp spent on skills. Is it tolerable, or batshit insane? I know Fenn can do 14 per round with rebel elite+rest+rest+lone wolf+adrenaline rush for 7XP and it requires him to suffer damage (but Rebel Elite does much more than just +1 END for the 4 xp it costs). Jarrod can get his Endurance to 6 with Explosive Reflexes (3XP), and with Cybernetic Arm to 7. It is pretty insane. Jarrod is probably the 'tankiest' hero already due to Parry and Mutual Progression (3XP) even without that. Onar can heal 6 each rest at the beginning of the game, and can also get the cybernetic arm. While this is mitigated by only being able to rest once per activation, once he's wounded, give him painkillers (perhaps via MHD-19's medical load out?) and he can heal 14 by resting twice. Jarrod and Fenn are almost certainly the "worst" of the current heroes for this. Onar can recover six, but he takes so much more damage without defence dice and he can only rest once per turn. Verena can get up to 7 endurance just like Jarrod, but she takes so much strain over the course of her turn that you're probably going to be healing that instead of damage. In both of these cases it seems like the extra strain recovery is more compensating for their particular quirks than it is an out-and-out advantage. 1) Is being "tanky" one of its primary characteristics (like it is in Jarrod's case, with a lot of his skills built around being defensive?). If so, having lots of endurance/recovery might not be a bad thing as long as he's not overpowered elsewhere. 2) Do his other abilities cost a lot of strain? As with Verena, sometimes a high endurance isn't so much overpowered as it is necessary just to keep up with all her other abilities. I've been thinking about a mini-campaign that follows some of the events of the Vader comics and Rebels tv show, specifically Geonosis in the aftermath of the Clone Wars. The story would explore the planet and the presence of the Empire on what has been reduced to mostly a dead planet. The heroes would discover the droid factory that Vader found in the comics, uncover some of the roots of the Death Star, fight off a nest of Nexus and spar with a bounty hunter and his client. New units would include B1 battle droids, cost 5, health 2, group size of 3, and a surge to reinforce the unit without spending threat, once per group. Imperial combat engineers, cost 5, group size 2, health 4, uses shotguns, so short range, red yellow attack, able to throw grenades and repair droids, vehicles and possibly doors and terminals. Dr. Aphra and Black Krrsantan as a mercenary blister pack, an original Imperial officer for the story's main adversary. A geonosian hero, very squishy, fast and mobile due to his wings. Mobile goes away when wounded (wings got injured). The story would explore the planet and the presence of the Empire on what has been reduced to mostly a dead planet. The heroes would discover the droid factory that Vader found in the comics, uncover some of the roots of the Death Star, fight off ﻿a nest of Nexus and spar with a bounty hunter and his client. That's not a bad idea- Geonosis would be a unique map tile, and it would be a great way to bring a little more prequel stuff in. Put my vote toward this. Well, the internal tiles definitely. A fair point, but this is an idea for a mini campaign, and they usually tie into and expand upon the core set's tiles due to the size of the expansion. Basically you'd be getting red tinted desert tiles kind of like when they did the "swamp" jungle tiles from JR.
Yeah, that's my thought. Geonosis is more of a Mars-type red rock planet. I could see them making tiles that blend into desert- Lothal is doing this too with Savannah, and it looks pretty good. I thought Heart of the Empire managed to make streets and Coruscant interiors blend pretty well with existing tiles, too. Geonosis interior tiles would be cool too. Droid factory, maybe? I've been trying to think of a Rebel creature/trooper unit like the dewback rider. I know the tauntaun is a no brainer, but I see it getting a habitat and snow tiles aren't seen often outside RtH. 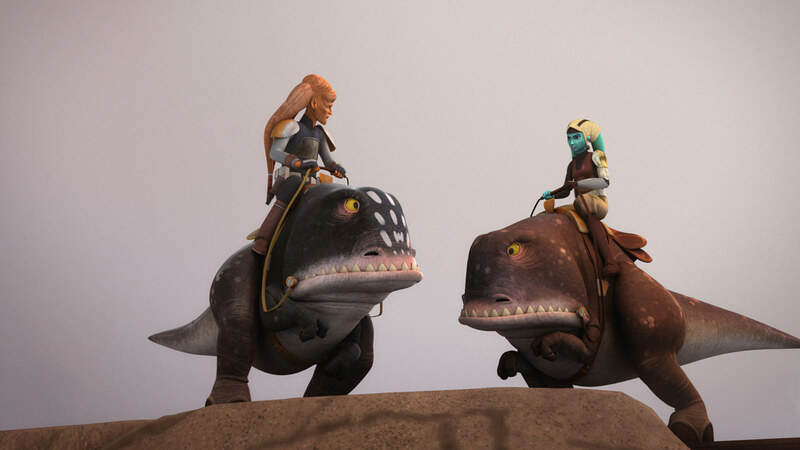 Maybe the two legged creatures the gungans rode in Episode 1? A kaadu or a blurrg would be good, because they could reasaonably only take up one space still (which would be pretty vital to not totally breaking the game. I like the idea of the kaadu, it wouldn't seem that out of place in most habitats. I don't see them being small figured though, and Diala force pushing one or Onar rushing it seems wrong thematically and game mechanically. In the aftermath of ToL, it would be nice to see a death trooper specialist sculpt, maybe as a beefed up trooper (not likely), or an original, named death trooper commander. I could see a weaker form of arsenal, giving the figure an attack of red, yellow, and a die of your choice. If it's a villain, it should be no more than 6 threat, so tatical coms would work on it. I could see an Imperial officer who can field a companion to feed him and friendlies power tokens, maybe as the main villain of a mini campaign. Maybe have his focus center around technology and droids, like Sorin focuses on vehicles and heavy weapons. The Field officers could have different specializations that play out like the Clawdite forms, though they're permanent after deployment. Like, maybe one officer is an artillery specialist with a one-shot AOE attack, while another gives a small trooper buff, and the final has a weak heal ability as a combat medic- but all still have the officer "order" ability. I like this idea for the field officers, being able to specialize in various fields. Maybe a tweak to the artillery officer: instead of causing the attack, have the officer get a friendly vehicle (or heavy weapon) to perform an artillery strike on any external space within line of sight of the officer.